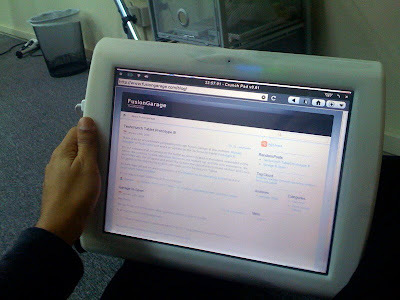 ...but, not in the same way that startups usually get 'techcrunch'ed; We have been collaborating with TechCrunch building the software for TechCrunch's tablet pc project, pet named 'Crunchpad'. Though we've been at it for a while now, I couldn't 'publicly' discuss this - due to obvious reasons. But last week, that changed - when Mike Arrington wrote an official blogpost announcing the status of the latest prototype, and in the process, mentioning our involvement in the project. So yea, for all those people who have been asking what I do at Fusiongarage, and been hearing some seemingly disconnected replies, here you have it. The last year had been pretty eventful. February 2008 we were just setting up fusiongarage's office space. By day, we were assembling furniture we got for FG, from IKEA and by afternoon we were busy brainstorming our product idea. Once we settled on the core product idea, we set out to build a prototype application. We ended up building some really cool stuff in the next few months. When we eventually had a demo-able version of our idea (it had a 'grander' vision of what we are building now), it was also that time of the year, when TechCrunch had started accepting applications for the TechCrunch50 2008 conference. We decided to send our entry and a few weeks later, we found ourselves at the demopit in the conference venue. We didn't really launch our product/startup there, the plan was to showcase the concept to the attendees and gauge their interest and gather feedback. People generally seemed to like our idea, and some interesting meetings were scheduled for the next few days. The week following TC50, we also attended Mobilize '08 - a conference targeting the mobile web space, organized by GigaOm network. People liked our ideas there as well, we even won the audience choice award! There were a few very interesting observations made here as well. 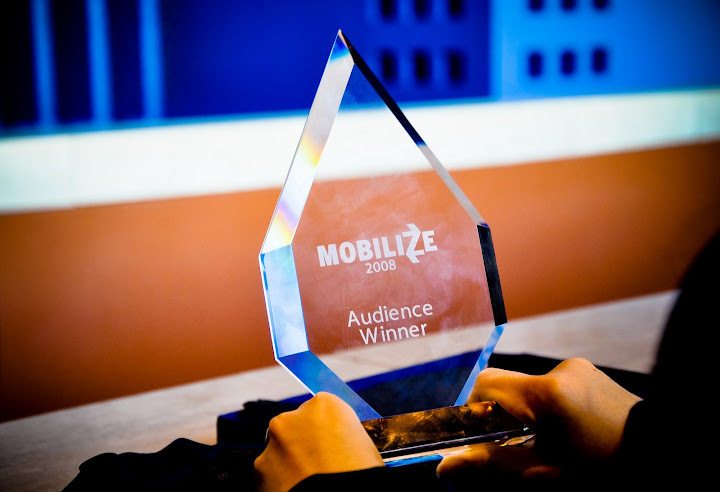 As I said, 2008 had been a very exciting year for FusionGarage. We expect, that 2009 is gonna be no less exciting! WOW so cool Arul, congrats!